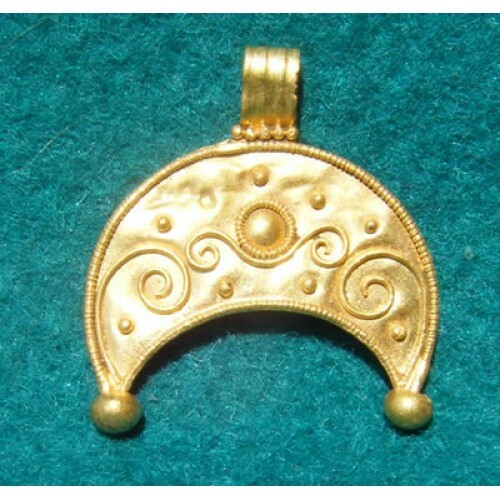 Authentic Pure Gold Roman Crescent Pendant. Circa 2nd century AD. From ex-private European collection. 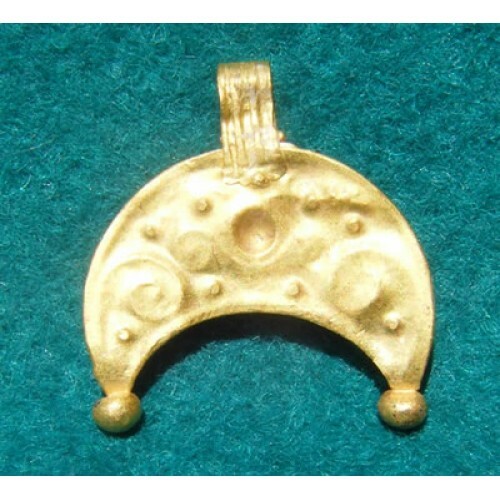 The goddess Luna was represented by a crescent moon. This could be in honour of her but in any event would have been owned by someone of extreme high status. Granule and swirl design with granule on each point. Perfectly wearable with the addition of a chain.